Nick Parkhouse has a special interest in the aesthetic/cosmetic surgery of the face, breasts, abdomen and trunk together with non-surgical injection and laser treatments for specific problems. He also has a special interest in the treatment of scarring disfigurement. 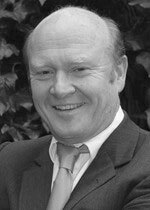 He trained at Oriel College, Oxford, and the Middlesex Hospital and carried out research into wound healing for which he was awarded a Hunterian Professorship of the Royal College of Surgeons in 1990. He was Editor of the British Journal of Plastic Surgery from 1997 to 2002. Mr Nick Parkhouse does not hold a share or financial interest in this hospital, another Nuffield Health hospital or the company. Mr Nick Parkhouse does not have a share or financial interest in equipment used at this hospital or another Nuffield Health hospital. Mr Nick Parkhouse does not hold any paid advisory role(s) at this hospital or on behalf of Nuffield Health.